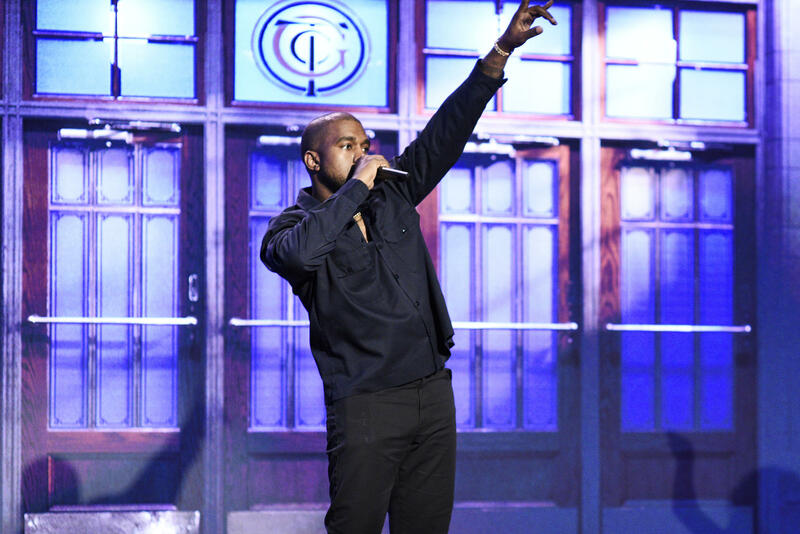 Kanye West is back in the spotlight after performing on the season premiere of NBC's "Saturday Night Live." The 40-year-old rapper performed three songs and spoke about his support of President Trump in a rant that didn't make it to air. West performed his song "Ghost Town" in Mr. Trump's signature "Make America Great Again" hat as the show's credits rolled on screen. In clips that circulated on social media but were not broadcast, West discussed his plans to run for president and his support for Mr. Trump. "It's so many times that I talk to a white person about this, and they say, 'How could you support Trump? He's racist.' Well, if I was concerned about racism, I would have moved out of America a long time ago," he said. "We don't just make our decisions off of racism. I'ma break it down to you right now ... If someone inspires me and I connect with them, I don't have to believe in all they policies." Mike Dean, West's longtime producer and collaborator, shared video of the speech on Twitter. West pointed out members of the audience he said were laughing at him and claimed the show's producers said he couldn't wear the MAGA hat on stage. "You see they laughing at me. You heard 'em. They scream at me. They bully me. They bullied me backstage. They said, 'Don't go out there with that hat on.'" West has been vocal in his support of Mr. Trump since his victory in 2016. He previously tweeted images of a MAGA hat that was signed by the president and said the two share the same "dragon energy." On "SNL," West said that 90 percent of news, writers, rappers and Los Angeles are liberal and that it's easy for things to appear one-sided. He later added: "Thank y'all for giving me this platform. I know some of y'all don't agree. But y'all be going at that man neck a lot, and I don't think it's actually that helpful."